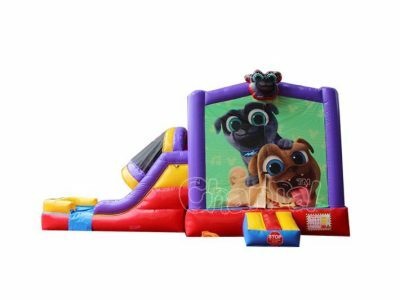 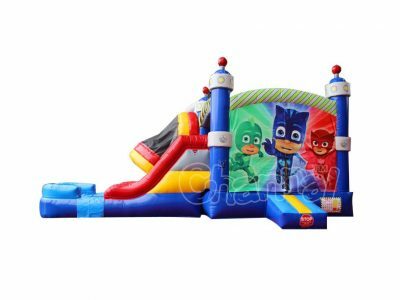 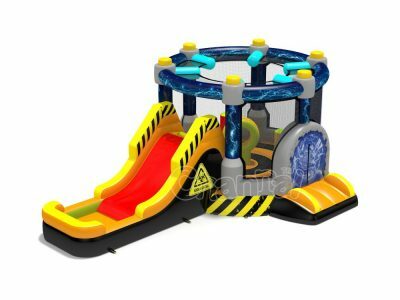 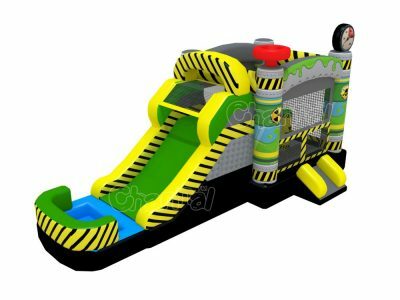 Water bounce house is a wet and dry bounce house combo with water slide and moon bounce, the water slide is attached with a pool. 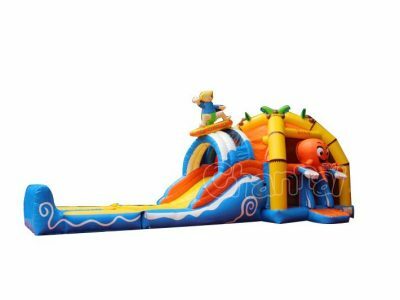 Bounce house water slide allows kids to jump and slide in one inflatable, it is versatile for all seasons, best for summers. 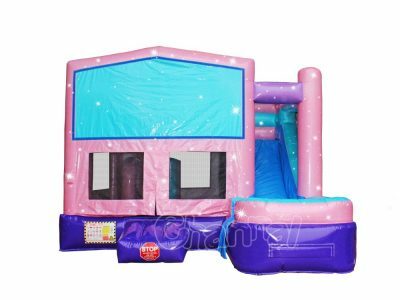 Commercial heavy-duty water slide bounce houses are more durable than home use ones bought from online retailers like amazon. 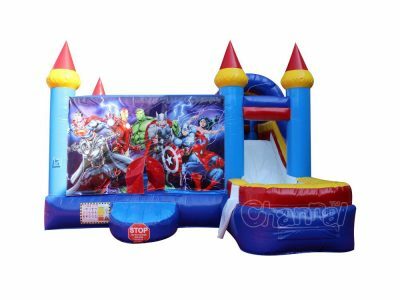 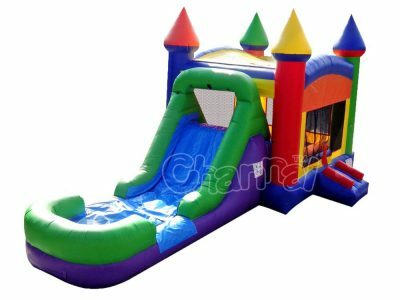 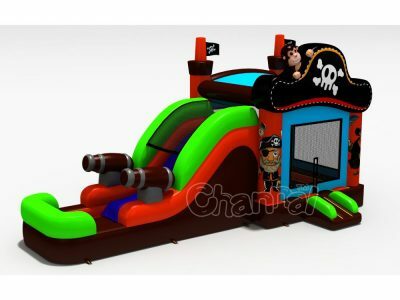 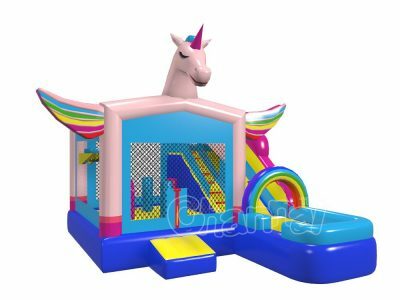 Channal Inflatables is a professional water bounce house manufacturer and wholesaler in China. 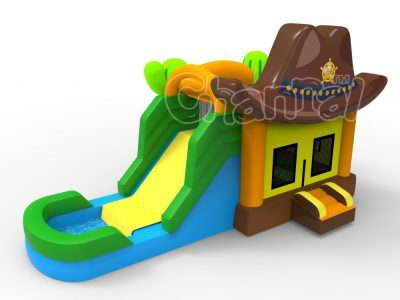 We always have the great quality commercial bounce house water slide for sale. 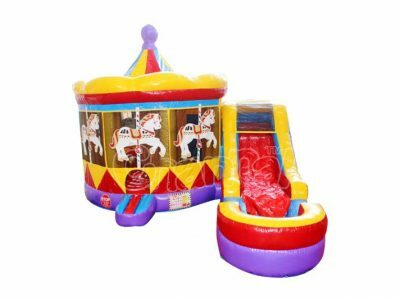 If you are looking for residential wholesale bounce houses, contact us to get discount prices.